PHP / JS application for video manipulation. 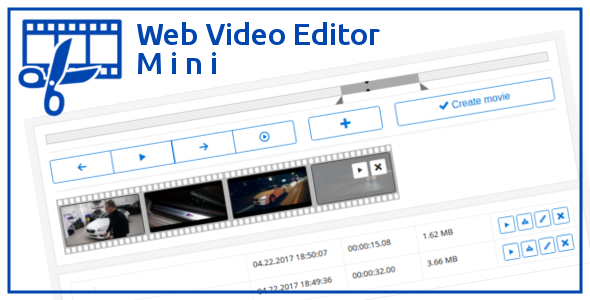 Allows you to cut the video into pieces and combine them. Convert video formsats: MP4, WEBM, FLV, OGV.